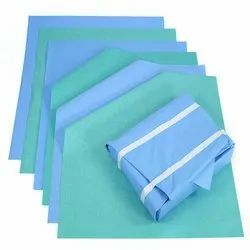 Om Sai Enterprises Offering Sterilization Disposable Wrapping Sheets is used to pack laundry items, and all heavy items that are to be sterilized SMS Sterilization wraps are tear proof and resistant non .woven material made of polypropylene which is suitable for heavy duty applications. Disposable Wrapping Sheets. 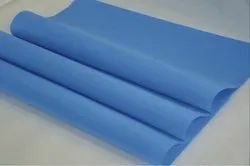 SMS Wrapping Sheets is used to pack laundry items, and all heavy items that are to be sterilized SMS Sterilization wraps are tear proof and resistant non .woven material made of polypropylene which is suitable for heavy duty applications.